YouTube is not a ‘traditional’ job. It’s an around-the-clock endeavor and you’re the boss. 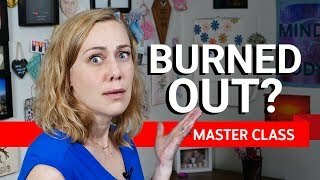 Find ways to balance YouTube with your life so that you make time for yourself and don’t burn out. Time is a precious commodity--and for many YouTube creators--it’s something that you have control over. To maximize your time, it can be helpful to have routines and treat each day like a workday (which means scheduling days off too!) For example, after you wake up in the morning, get dressed (at minimum, try not to edit in your pajamas every day), plan to work for a certain set of hours and then do something non-YouTube-related. Filming 24/7 can be tiresome, so remember to take time to be away from your camera. Scheduling out your day can help. Consider getting a planner or online calendar and write out what you will do each day. Add a cut-off time for work and schedule non-work-related things. Try to include specific tasks you want to accomplish each day and make easy, realistic goals. Be forgiving with yourself if you don’t achieve them all! Some people find they can only focus on one task for a certain set of minutes. If this sounds like you, schedule your day out in chunks and take breaks in between. Try to see some daylight throughout the day. This can boost your mood! Take time each day away from your channel and social media. This can help clear your mind and reduce stress. 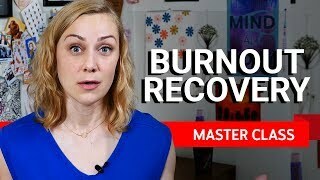 Licensed therapist, Kati Morton, talks about why burnout can happen so easily to YouTube creators and what to do about it. 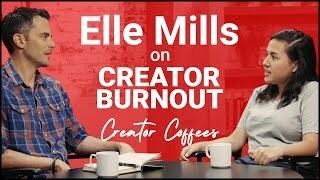 Elle Mills sits down with YouTube employee Matt to discuss creator burnout - her struggle with it, what she’s done to combat it, and advice for other creators. When you’re your own boss, it can be tempting to get sucked into work and skip taking vacations. On YouTube, it can feel like your audience is always hungry for more of you, and we know creators fear that taking time off of YouTube will result in less views upon return. Let’s tackle vacations first. Time off and vacations exist because people inherently need to rest at some point. If you go, go, go all of the time, you will exhaust yourself. So find time to schedule a vacation and put it on your calendar. If you want to share your vacation with your audience--do so--but put boundaries on what days you’re going to shoot and stick to this. Be sure you get some time to relax without a camera in hand. You can schedule videos to publish ahead of their release if you want to keep posting while you’re on vacation. Otherwise, consider telling your audience that you’re taking some time off and when you might be back. Either way, be sure you take some time away from your work on YouTube. Now the big question--if you don’t post during vacation, will the algorithm punish you? There is nothing in YouTube’s search and discovery system that inherently penalizes a creator for not uploading. As noted in our search and discovery lesson, the algorithm follows the audience, so any concern should be more around if the audience will disengage during your absence. This is why it’s helpful to let your fans know that you’re taking a break, and when you expect to come back. That way, there’s more of a chance they’ll be eagerly awaiting your return. Acknowledge before your vacation what’s OK to share and what’s not OK to share. Family members, friends, and even hotel staff may not want to be on your channel. Remember to get permission from anyone you’re shooting in your videos. Be good to yourself--try not to work when you’re sick. If you’re feeling unbalanced, uninspired, constantly stressed or exhausted, resentful of your audience or channel, or that you’re putting in more effort than you’re getting out, this could mean you’re experiencing burnout. But don’t worry, there are simple things you can do to recover. The first thing to do is to acknowledge it--don’t ignore burnout because it will likely just get worse. Take a step back and figure out why or how you ended like this. Then find things that make you feel better--like spending some time with friends or taking a day (or more) off. Or, you might need a longer-term solution like trying something new on your channel or even in life. Be as open as you can to inspiration--like music, people, ideas, or art. The most important thing to remember is to be nice to yourself--you are likely your own harshest critic so give yourself a break (even if it means breaking promises to your fans). Consider writing down why you think you got burnt out--so next time you can see the warning signs and take action before it happens! Learn tactical strategies for bouncing back from burnout. 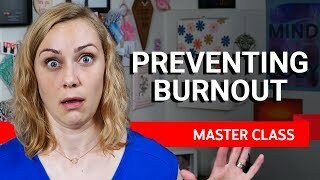 Kati Morton gives four concrete ways to recognize and avoid future burnout.